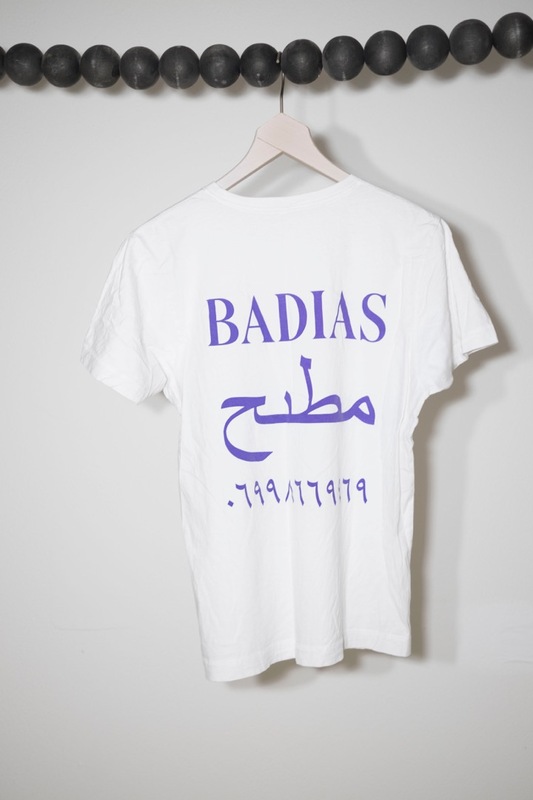 White T-Shirt by BADIAS. 100% cotton, round neck, silkscreen prints on front (yellow) and back (violet), regular fit. Designed and hand made in Germany.